That’s according to a recent AAGD email blast, warning that the Council was considering an ordinance to prohibit landlords from refusing to rent to people based on their use of housing vouchers, a form of discrimination that is widespread around the state. Last year, the Texas Legislature passed a bill to ban local source of income protection laws, in response to an ordinance in Austin. But the state law makes an exception for veterans, and the proposed Dallas ordinance follows suit, applying only to veterans who rely on federal rental assistance. If the ordinance is enacted, landlords would not be allowed to turn away veterans applying for housing solely because they intended to use a voucher. Applicants could still be denied for other legal reasons, such as background checks, credit history and more. If the AAGD’s message is any indication, however, the Dallas apartment lobby has no intention of making it easier for veterans to find a place to live. The email urged AAGD members to contact their City Council members to ask them to oppose the ordinance or at least “delay it until the industry has had time to respond.” Now that the vote has been delayed until the fall, we’ll see if the official AAGD position on veterans evolves. 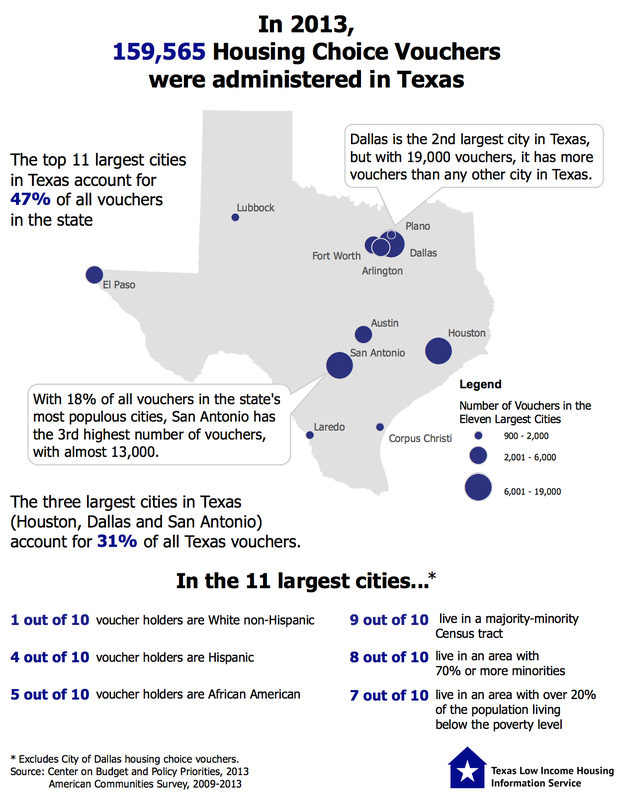 Landlord bias against voucher holders is rampant in Dallas and around Texas and leads to the isolation of people with vouchers in racially segregated, low opportunity areas. In 2014, when the U.S. Department of Housing and Urban Development (HUD) found that housing policies in Dallas had systematically discriminated against people of color and people with disabilities – largely through the same kind of segregation – the City of Dallas entered into a voluntary compliance agreement that included better protection for voucher holders. The proposed ordinance is intended to keep Dallas’ promises and comply with the HUD agreement, at least as much as is now permissible under Texas law. But if the AAGD gets its way, Dallas will be out of compliance with its fair housing requirements, risking its legal and financial status with HUD. And, more importantly, the city’s veterans will continue to be discriminated against. Housing vouchers help veterans escape homelessness and find stable living situations. After serving our country, veterans shouldn’t be subjected to mistreatment from landlords who would rather not “deal with” them. This entry was posted in Local issues, State issues and tagged Dallas, Fair housing, source of income, Vouchers. Bookmark the permalink.